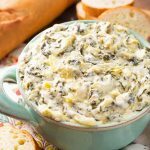 Instant Pot Spinach Artichoke Dip tastes so delicious! It is creamy, cheesy, warm, and comforting. 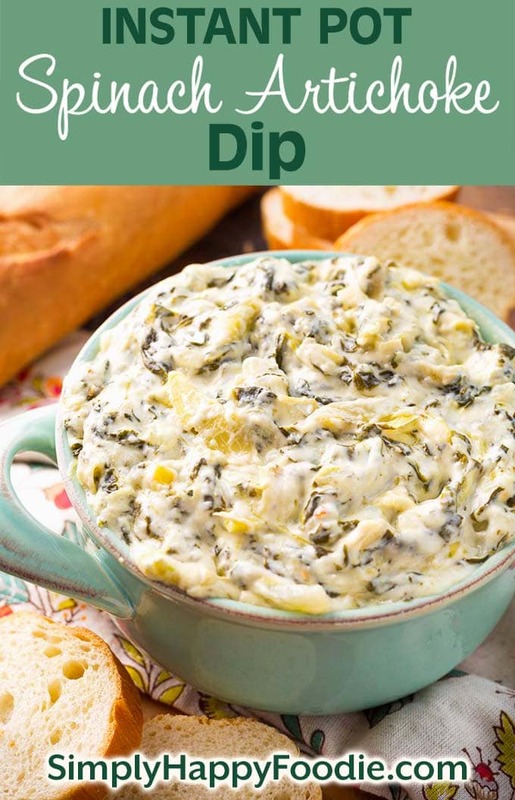 Serve this fantastic pressure cooker spinach artichoke dip on Game Day, at a party, or any time you want a delicious appetizer or snack. This post may contain Amazon Affiliate Links. We are a participant in the Amazon Services LLC Associates Program, an affiliate advertising program designed to provide a means for us to earn fees by linking to Amazon.com and affiliated sites. If you want to impress your guests, make this dip! If you want a warm and comforting snack, make this dip! It is so easy to prepare, and it really is amazing! This Spinach Artichoke Dip is another one of my Instant Pot Dump and Start recipes. I’m building quite a collection! Who doesn’t love an easy Instant Pot Recipe?! 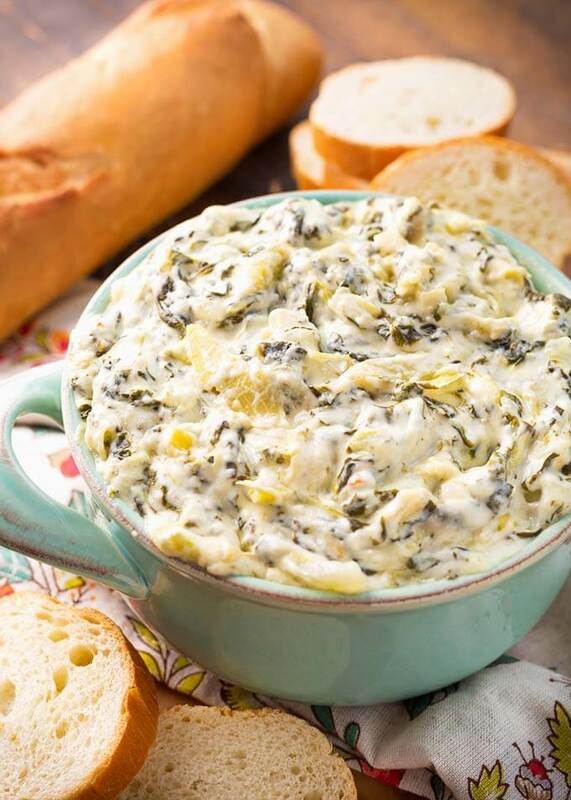 This Instant Pot Spinach Artichoke Dip recipe is a great one to make ahead of the event you are going to serve it at. You will make the entire dip in the pressure cooker, then you can set it to the Warm setting, with a lid on, and it will be perfect for your guests. I highly recommend the Instant Pot Ceramic Non-Stick Inner Pot (Affiliate) for this recipe as the dip will be so easy to get out of the pan, and it is easy to clean cheesy, gooey foods off of it! Does this taste like Applebee’s dip? Can I use jarred artichokes instead of the canned? Yes, however be aware that most of the jarred varieties are marinated, sometimes in oil, and a strong tasting marinade. This will affect the taste of this dip significantly. If you can find some that are not marinated, those will work best. Can I make this with Fresh Spinach? Yes you can. Just dump a bag, or a few good sized handfuls into the pot last. It will cook down. What should I Serve With this Spinach Artichoke Dip? There are many ways to eat this yummy dip! I made this recipe on a whim. Craving some warm spinach artichoke dip, and wanting to use my Instant Pot to make it, I started researching. I have a slow cooker version that is good, and I started there. Then came across a recipe from “Some the Wiser” that looked really good. I didn’t follow it too closely, but she had some good ideas in her recipe. Instant Pot Spinach Artichoke Dip tastes so delicious! It is creamy, cheesy, warm, and comforting. 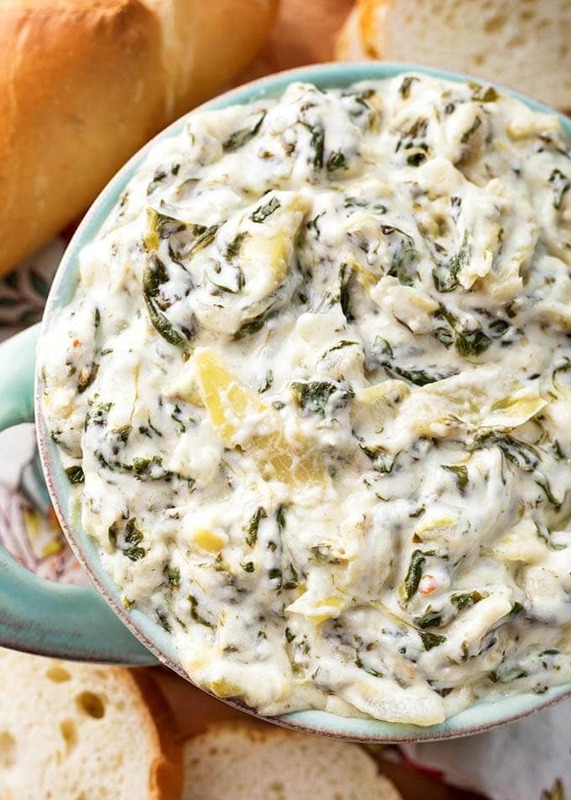 Serve this fantastic pressure cooker spinach artichoke dip on Game Day, a party, or any time you want a delicious snack. Add all ingredients except Parmesan, Mozzarella, and Monterey Jack cheeses to the pot in the order listed. Break up the spinach a little. Do not stir. Stir in the parmesan, mozzarella, and Monterey jack cheeses. Let melt. Transfer to a serving bowl and enjoy warm with bread, chips, or veggies. You could also keep it in the pressure cooker and turn on the Warm setting so it stays warm. Or, transfer to a small slow cooker and keep it on the Warm setting. You can freeze this dip. It reheats pretty well, though fresh is better. So good! I tried a different one but it wasn’t that good. I like the flavors in this one so much better!